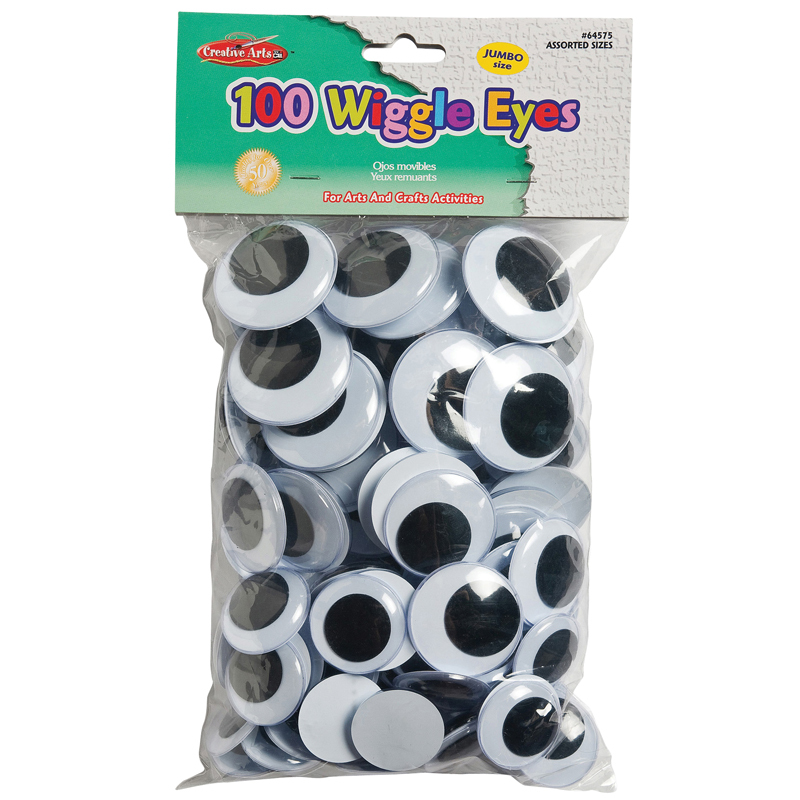 Give your projects "Eye" catching appeal. 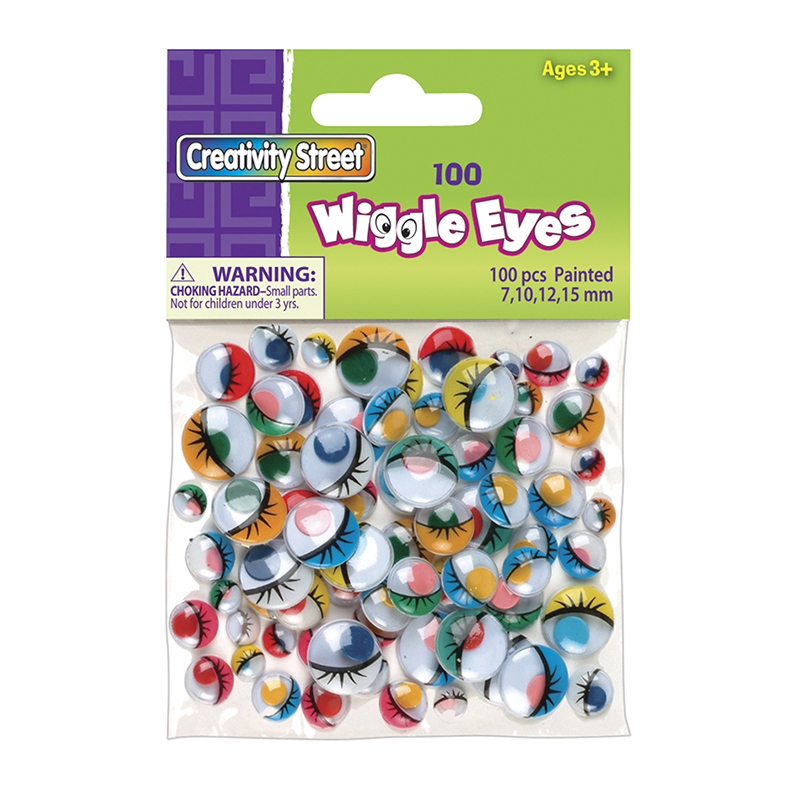 Wiggle eyes bring life to dolls, animals, toys and more! Features a flat back for gluing. Great for any Arts and Craft Project. Sizes include 28MM, 30MM, 35MM and 40MM. Pack of 100. 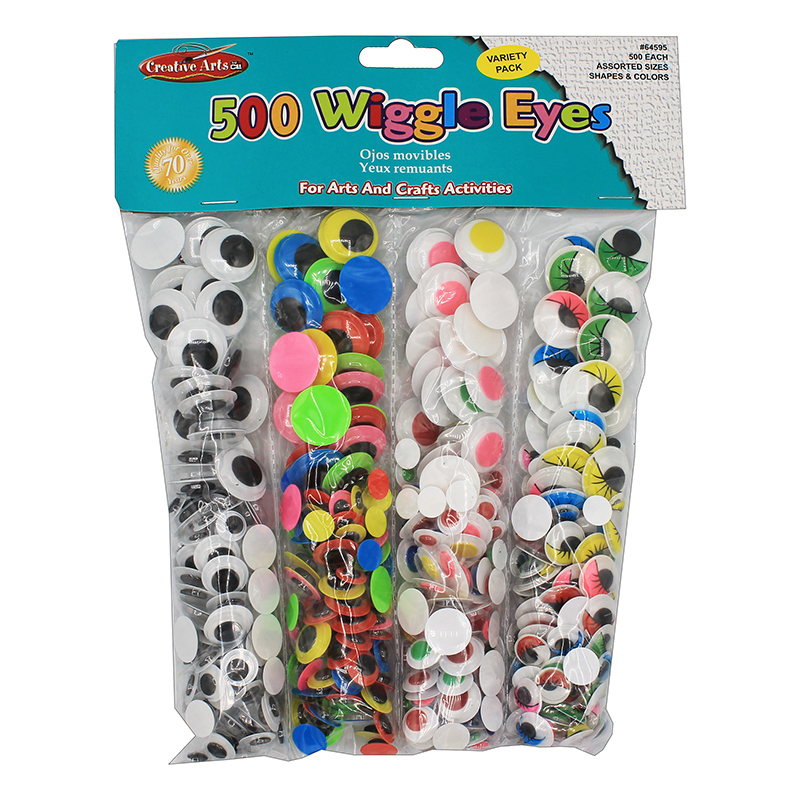 The Jumbo Wiggle Eyes Black can be found in our Wiggle Eyes product category within the Arts & Crafts. 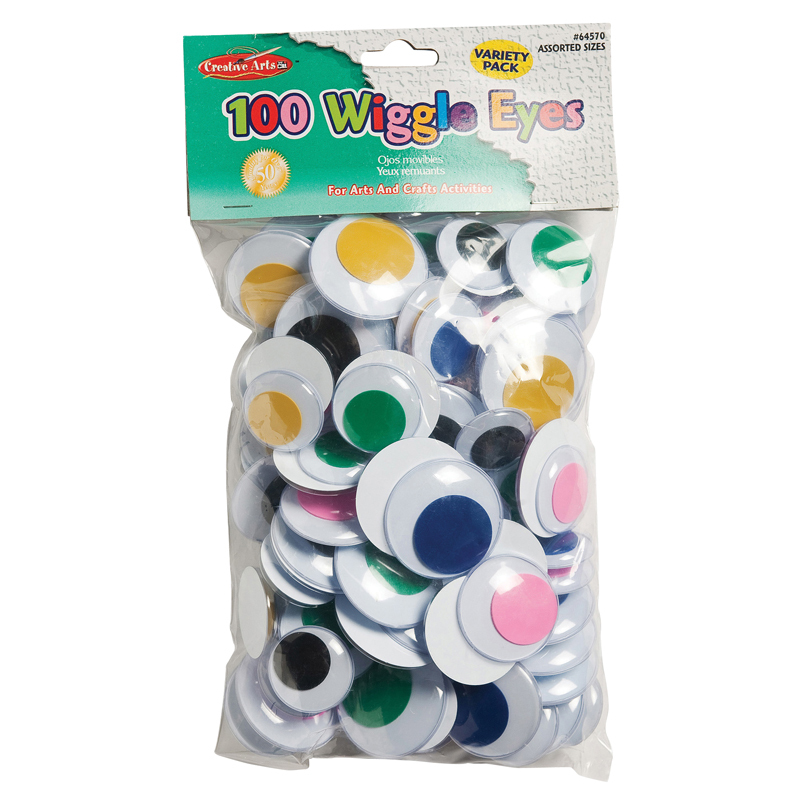 Bag of 100 painted wiggle eyes in assorted sizes. 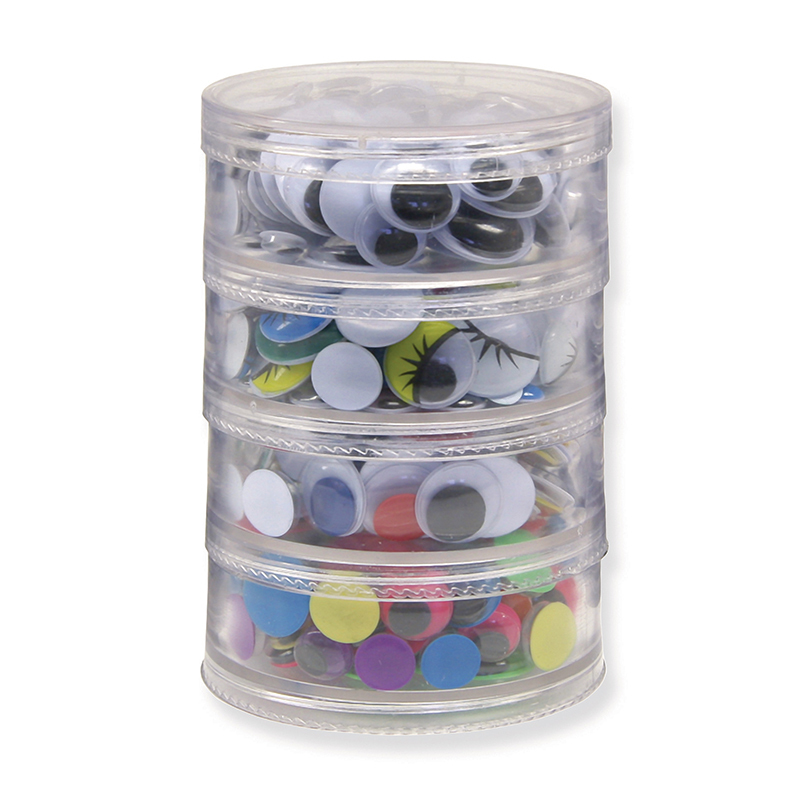 Contains 25 pieces each of 4 different sizes: 7mm, 10mm, 12mm and 15mm.